Busy freaking day. Work surrounded by orthodontist and pediatrician appointments followed by new school year orientation. I am sweaty! Today I'm drinking Peroni Gran Riserva brewed by SpA Birra Peroni in Rome, Italy. This came home from my friend's trip to Barcelona. 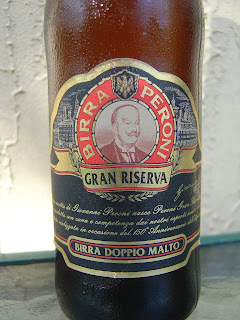 I reviewed Peroni Nastro Azzurro a long time ago. Quite frankly, I don't know what the difference between these beers is. 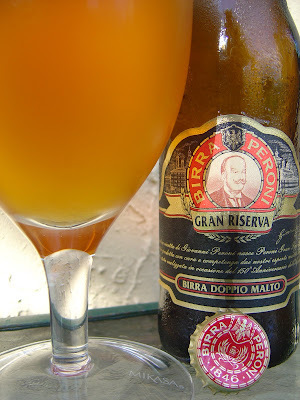 The label is in a lot of languages, but I did manage to see Best Before End 04/11 and that this was brewed in the Padova brewery. Only 33cl, rip-off! Mucho grainy aroma. Flavors, same thing, with lots of sweet grains. Some bitter then comes in with a touch of bread flavors, and that's what you get for most of the rest of the bottle. Kinda dirty, mass-lager type beer flavors with a highly metallic finish. Toward the end, the 6.6% alcohol even makes this seem a little alcoholic. 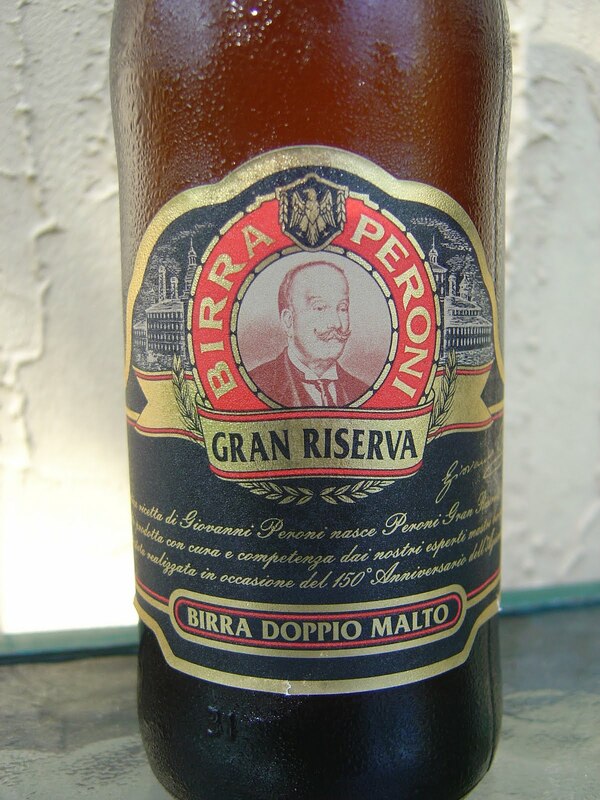 I don't speak Italian, but maybe that's what they mean by "BIRRA DOPPIO MALTO". Not the worst beer or even close, but still kinda blech.